Map to Street Ministry in front of Borders Bookstore, downtown Santa Cruz, Pacific Garden Mall, Santa Cruz, CA. Map to Capitola Beach Church at the Capitola by the Sea stage on the Capitola Esplanade, Capitola, CA. Map to Studio at Community TV of Santa Cruz County, 816 Pacific Avenue, Santa Cruz, CA. 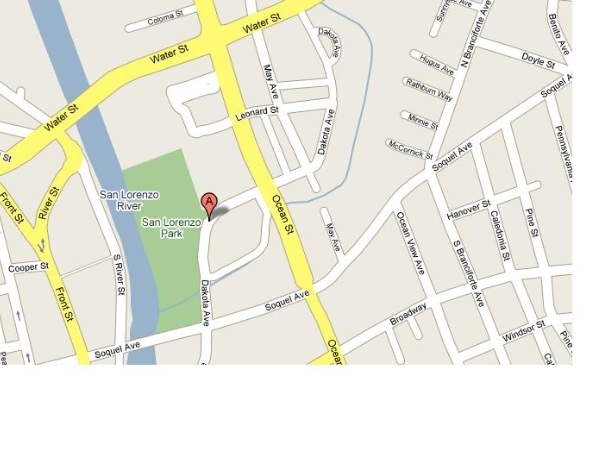 Map to Church on the River at Duck Island San Lorenzo Park, 137 Dakota Avenue, behind University Inn, Santa Cruz, CA.